Barista Basics is an intensive 7-day training covering all the theoretical knowledge and practical skills you need to know to become a qualified Barista. You will learn basics about the history, production and cultivation of coffee to understand the product you work with. We will teach you how to use an espresso machine and grinder to be able to make a perfect espresso, and show you correct preparation of espresso based coffees & beverages and its presentation, including practical knowledge of Late Art. * Practical knowledge of Latte Art! Barista Courses are more than just the flavour of the moment. Or just the Italian word for ‘bartender’ and the serving of espressos. Barista originally only referred to those who sold both coffee and alcoholic drinks in coffee houses when it was first imported into Italy by Venetian merchants in 1645. Once Baristas were simply taught the traditional method of grinding coffee, mixing with hot water and plenty of sugar. Today, the art of the Barista includes creating the professional, signature smooth and decorative frothed milk finish, which elevates an ordinary cup to a divine experience. The skills of the Barista are very much in high demand everywhere among a new sophisticated coffee drinking culture. Importantly, coffee drinkers have become more discerning and no longer passive about understanding more about the experience. They want to learn and become better informed about the beans, the roasting, and the flavours. The knowledge and passion of a fully trained Barista is key to today’s customer desire for engagement and service satisfaction. Designed as a relaxed learning environment complete with all the equipment you need to learn about coffee. To the highest standards and will introduce you to the most delicious coffees. Ideal for beginners as well as valuable additional training for working baristas who look to advance their knowledge, and add to their experience and expertise. Extend the range of hospitality services you can offer. 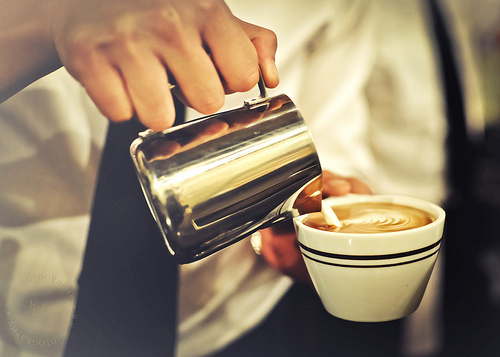 Immediately begin your professional barista career in any coffee house or major leisure venue.